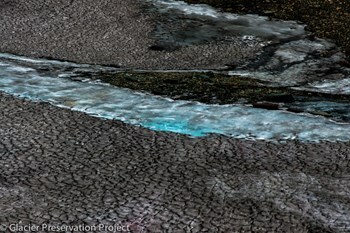 Chaney Glacier is located at 48.85147, -113.836. 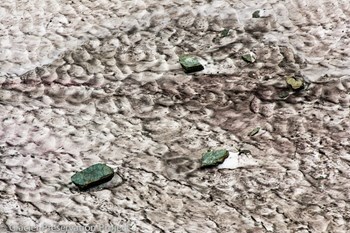 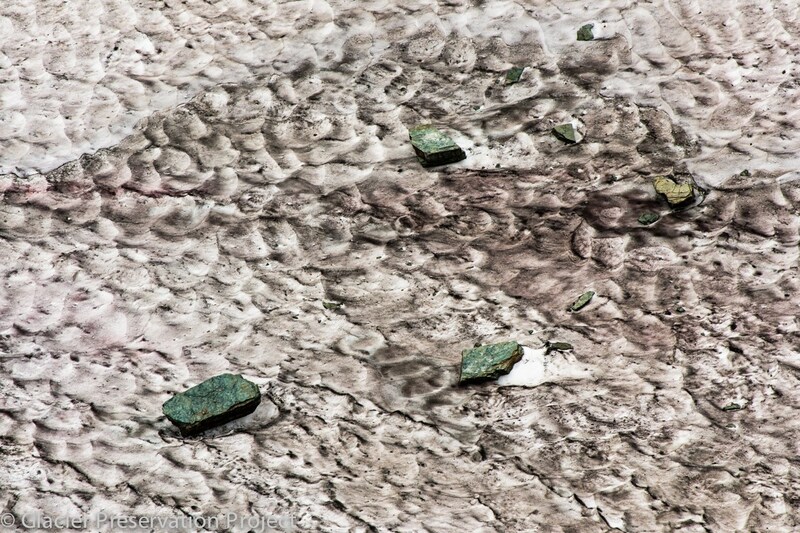 In 2005 this glacier covered an area of 379688 m2 and in 1966 it covered an area of 535604 m2 . That is a change of -29.10 % over this time period. 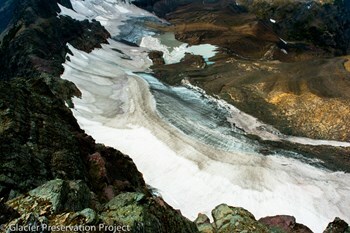 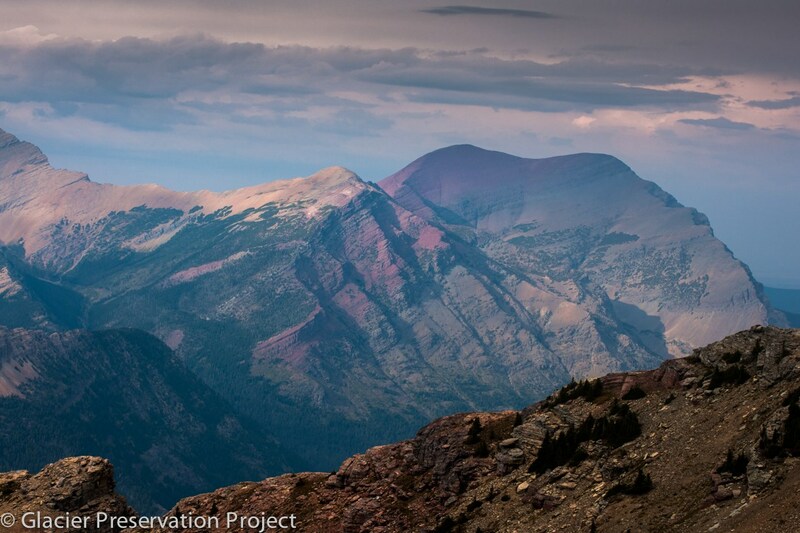 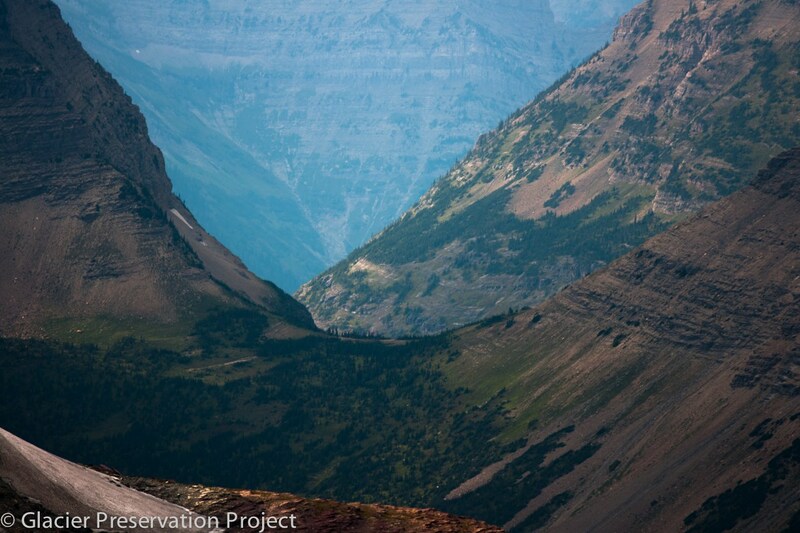 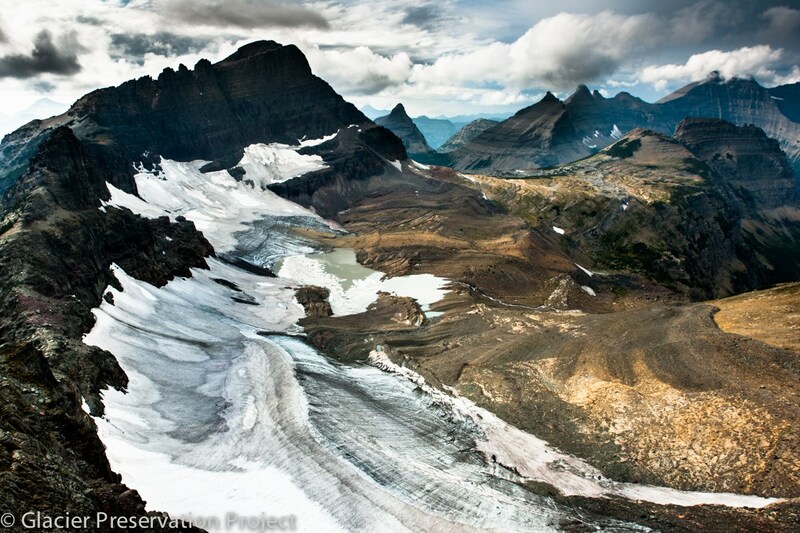 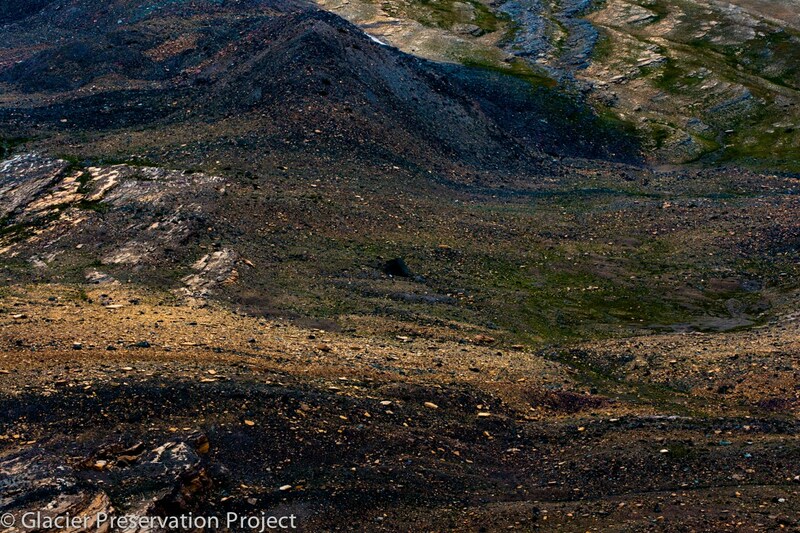 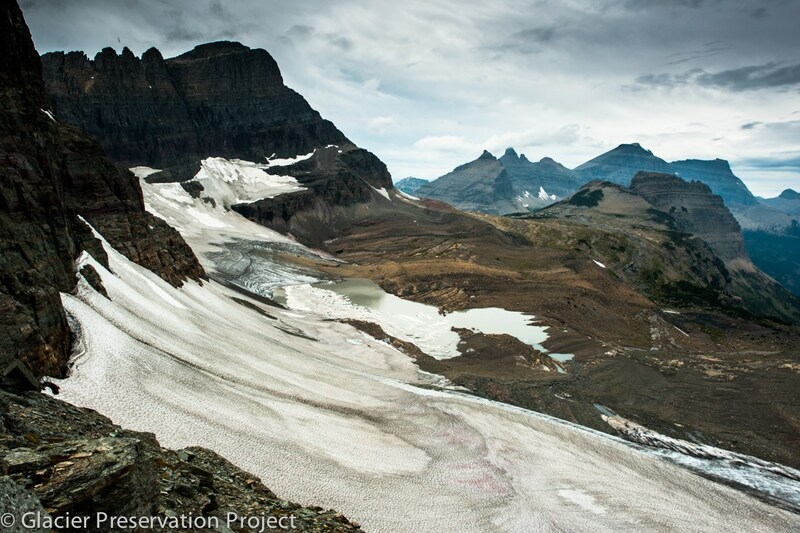 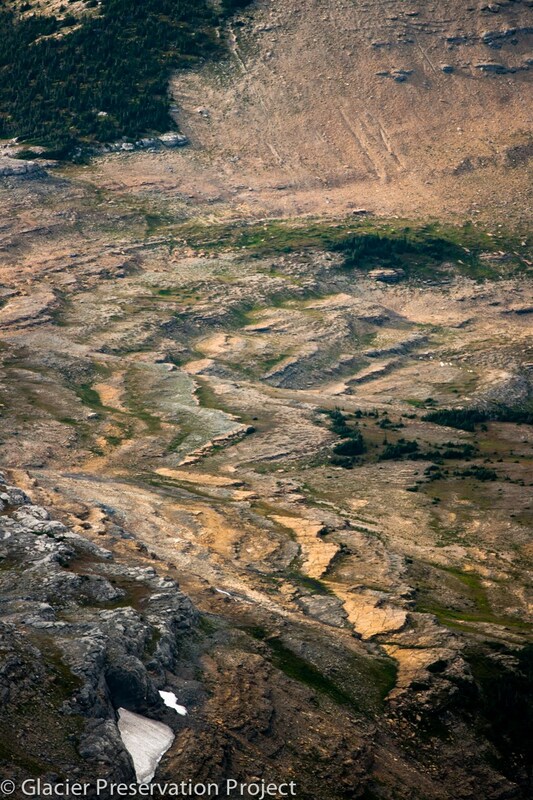 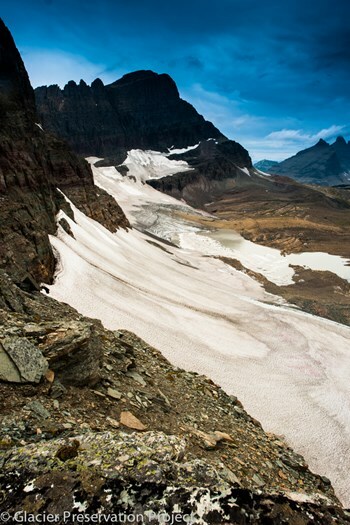 Although it is simple to access Chaney Glacier it is not commonly accessed because of the distance required to do so. 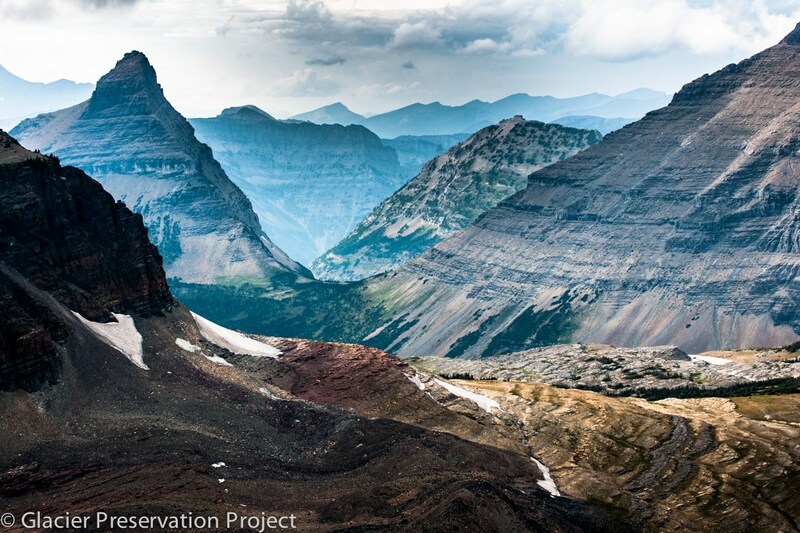 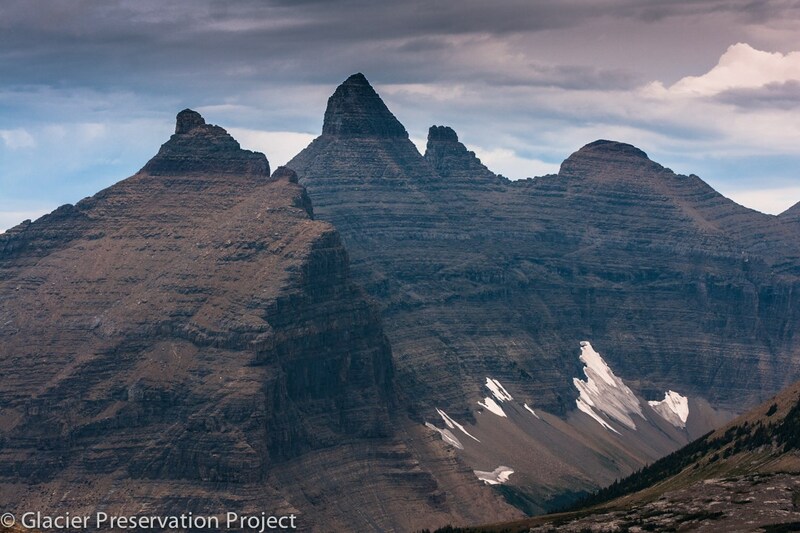 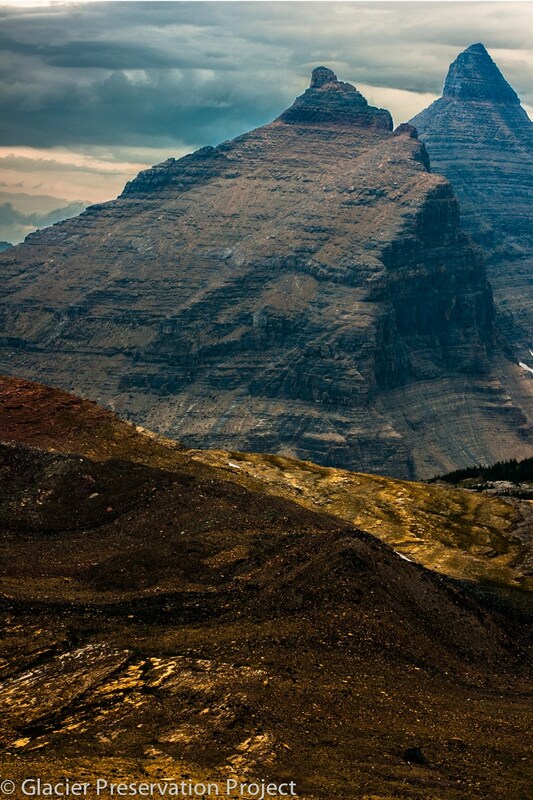 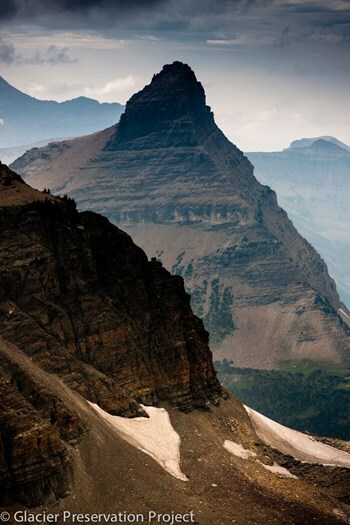 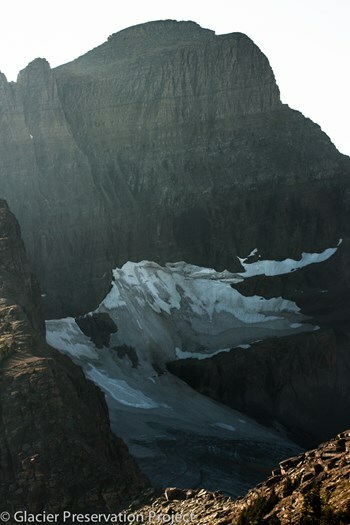 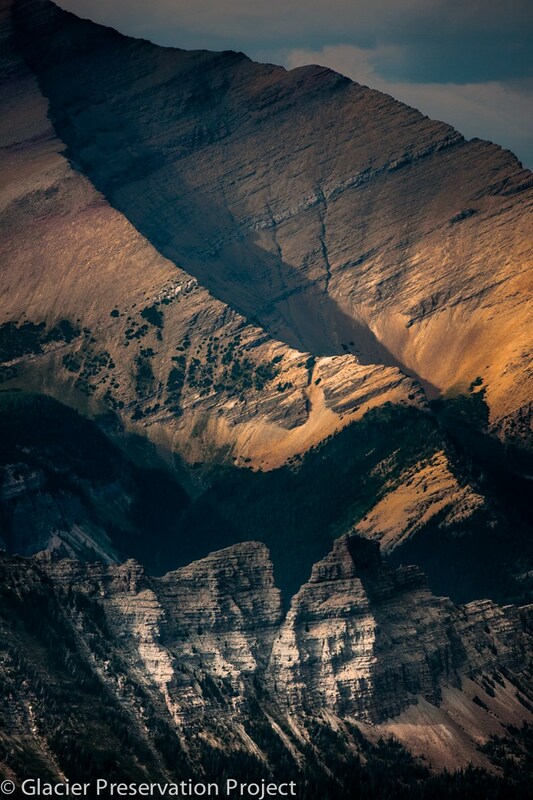 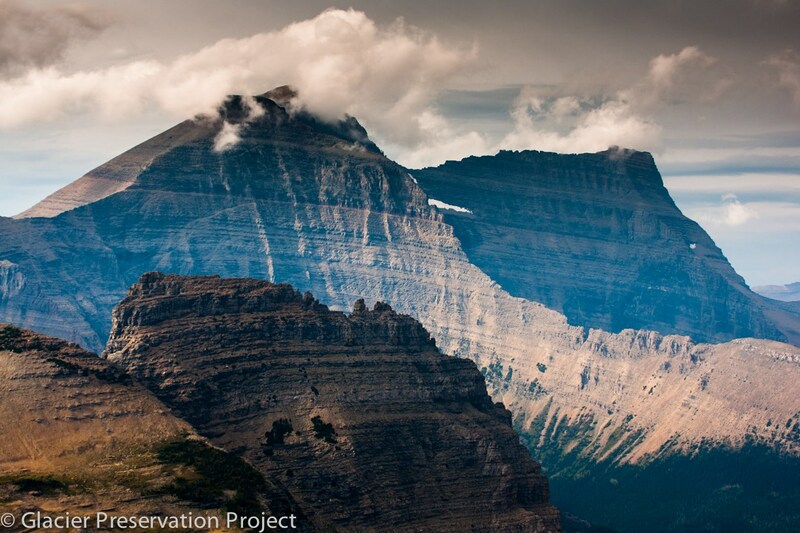 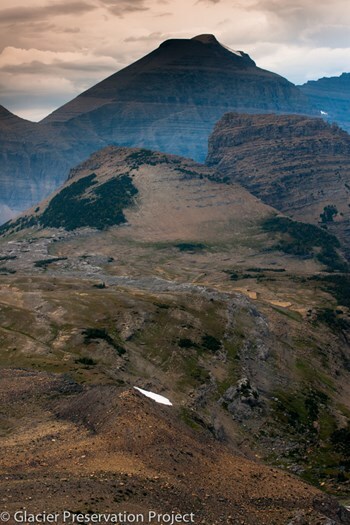 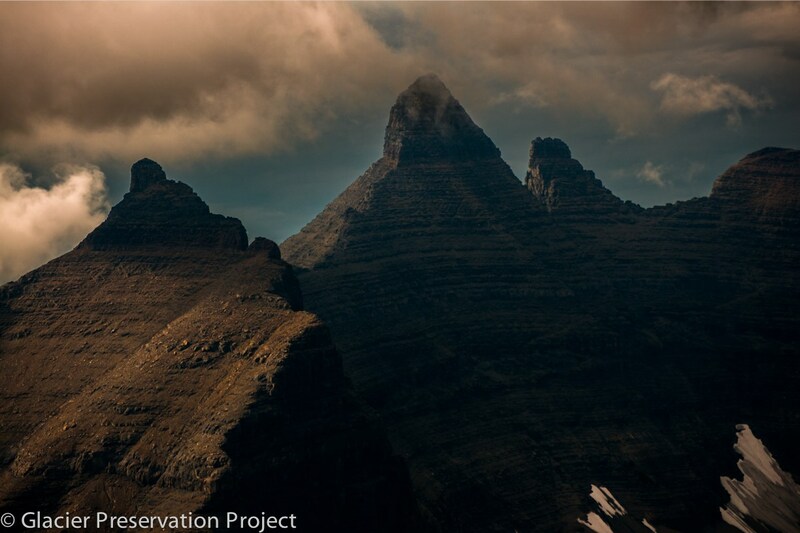 We accessed this glacier from the west side of Glacier National Park on a 3-day backpacking trip. 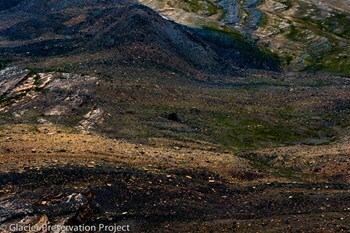 It required us to make a 1/2 to 3/4 mile scramble up a shale slide from the north section of the Highline Trail. 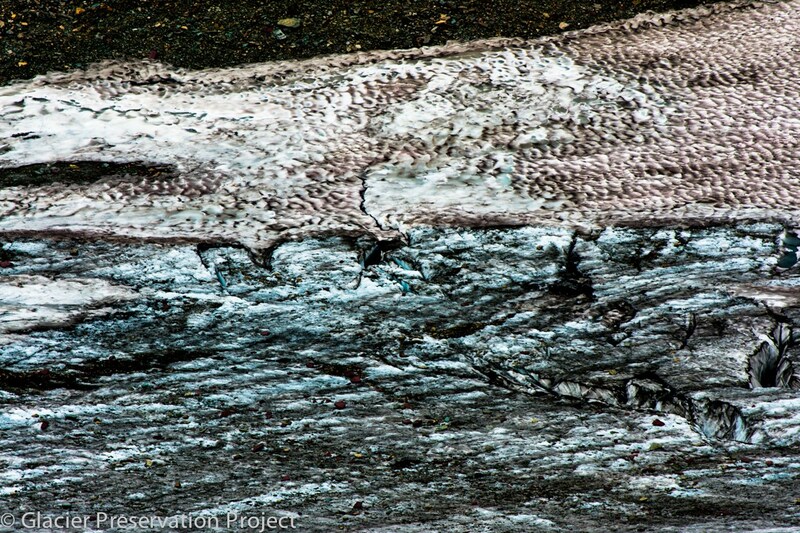 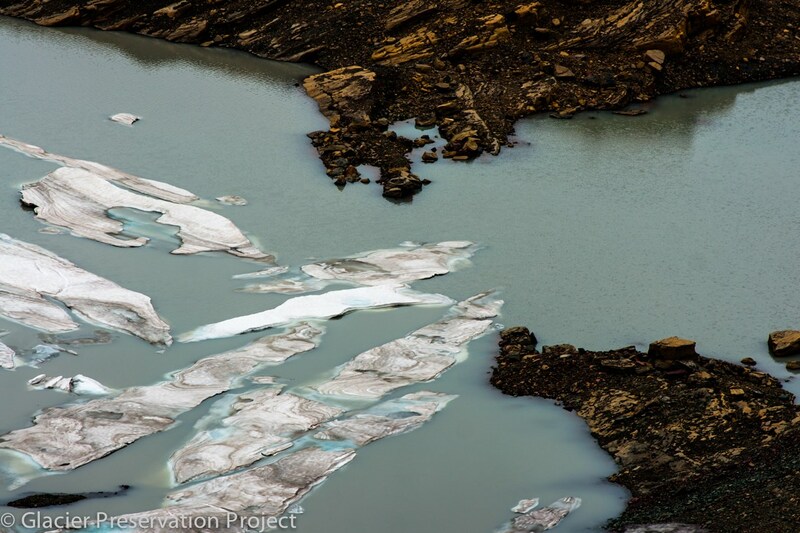 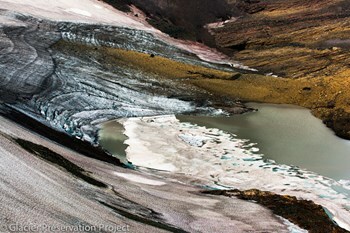 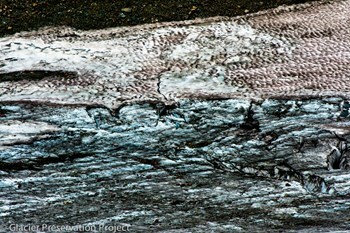 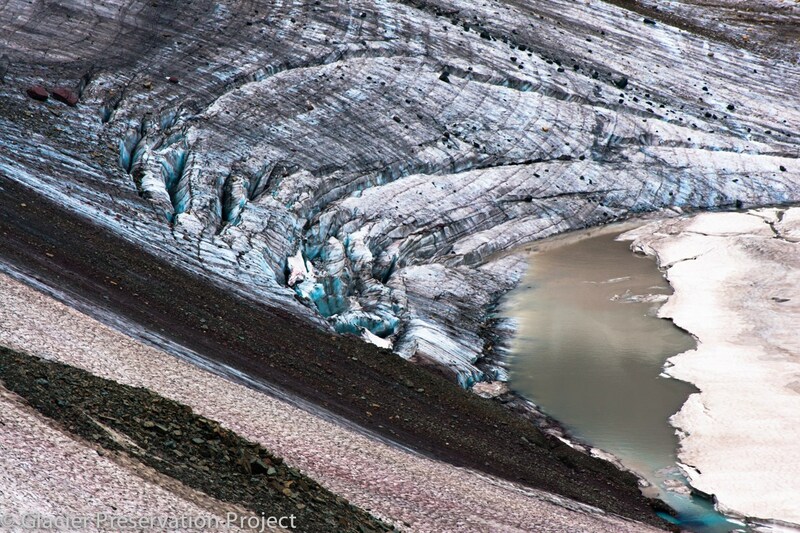 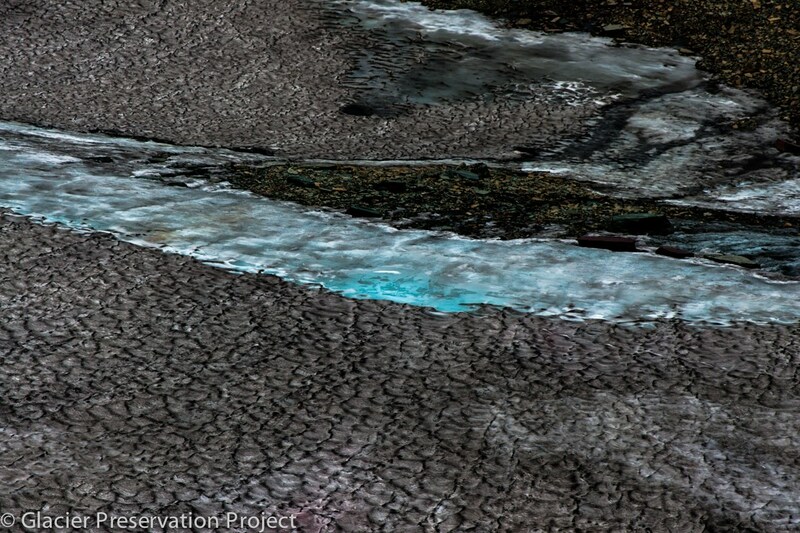 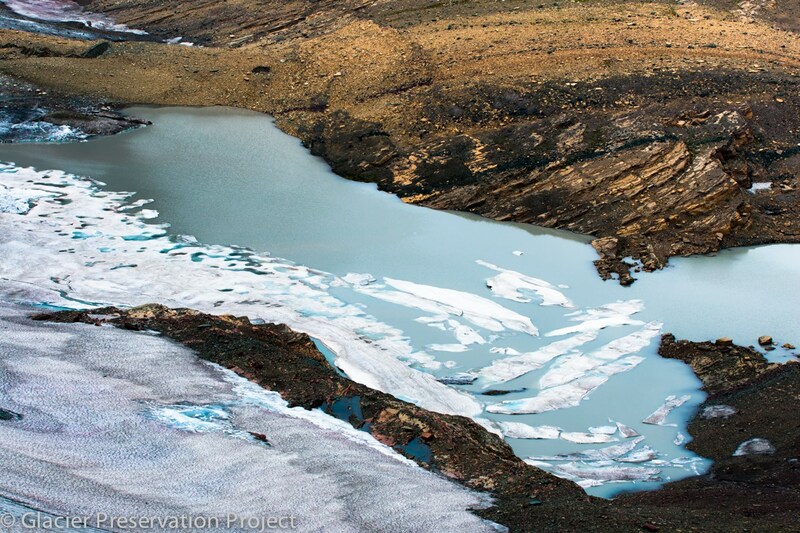 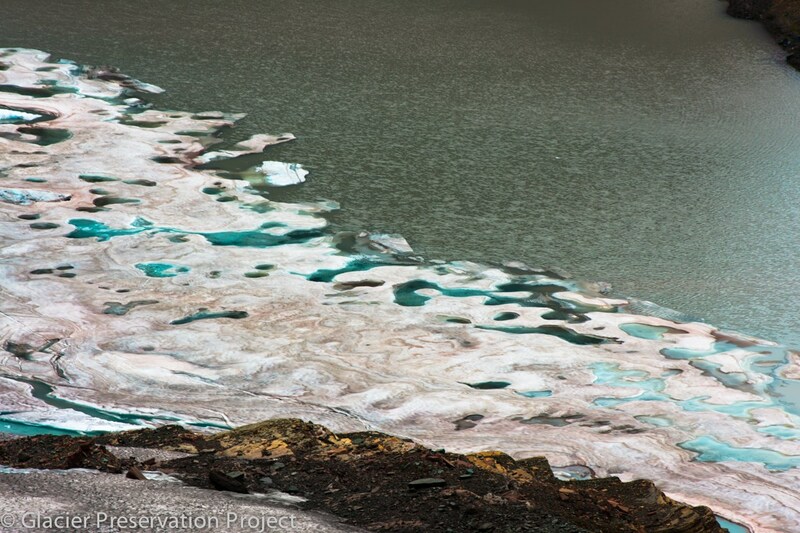 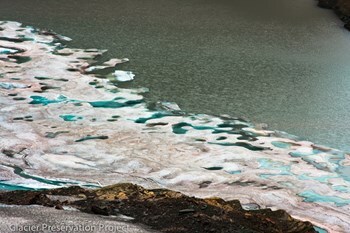 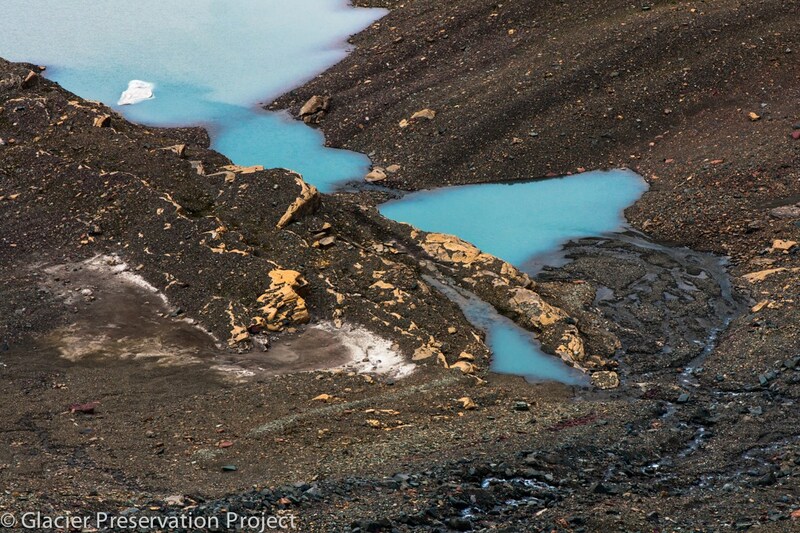 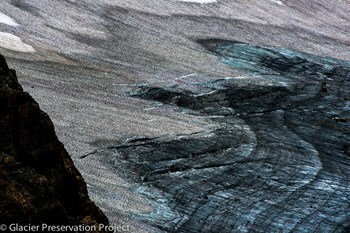 This glacier shows signs of rapid receding and will most likely be one of the next to be declassified as a viable glacier in the Park.